not to carry undeclared goods liable to duty or any other forbidden items. When handed over to the person chartering the yacht, it has to be fully tanked. The charterer has to check and confirm the condition of the yacht as well as the completeness of its equipment according to an equipment list and in the presence of local staff. 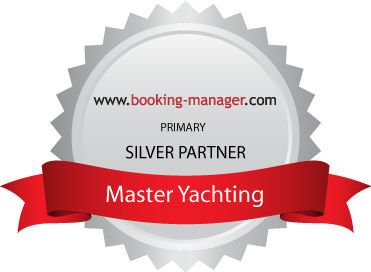 The conditional acceptance of the ship by the chartering party is considered the charterer’s confirmation of the yacht’s perfect condition and, furthermore, his engagement to test the yacht in all systems immediately after leaving the marina. In the event of defects, the hiring party is obliged to return to the marina and give the local crew the opportunity to remedy the defect. In any other case, the yacht is considered to have been handed over in perfect condition. The security – if any agreed – has to be deposited either in cash or by VISA/American Express. The owner of the chartered yacht is entitled to offset the amount of the security against any charges of claim which exceed the costs of average depreciation and are not covered by insurance. He may also offset the security against any loss of equipment items. In any other case, the security has to be fully and immediately reimbursed to the hiring party after confirmation of the yacht’s proper return. In case the charterer should be unable to set out on the journey, he has to contact the agency without delay. If the agency succeeds in finding an alternative chartering party, any payments having already been effected by then will be reimbursed, any charges plus an extra handling charge amounting to 5 per cent of the contractual sum being deducted. In any other case of cancellation by the hiring party, the latter is obliged to pay 80 per cent of the contractual sum (in this case the turn has to be cancelled two months before departure at the latest) or even 100 per cent of the contractual sum (for any other shortterm cancellations). We therefore recommend taking out insurance for cancellation fees. Oral agreements will only be regarded as legally binding in case of their written confirmation by the agency. Should additional contracts with foreign agencies be essential for a successful charter, the chartering party engages to sign them. The terms of such contracts – agreements on prices excluded – are of pre-eminent validity. The agency endeavours to provide a punctual handing-over of the yacht. Should it – in spite of all endeavours – be impossible to provide neither the originally intended nor any other similar substitute yacht for the chartering party within 48 hours after the start, the latter is entitled to rescind the contract, even if the agency cannot be blamed for the delay. Any payments effected by the charterer have to be refunded by the agency, further claims of compensation (e.g. travel and accommodation fees, insurance premia ...) being excluded. If the chartering party does not rescind the contract, they will be entitled to a proportionate reduction of the chartering fee according to the respective period of delay. Should parts of the equipment have been damaged or lost during a preceding charter, the hiring party has no means to rescind the contract nor any possibility to assert any reductions, even if substitute equipment could not be provided and defects were not repaired. The latter clause, however, does not apply to cases in which defects or damaged equipment affect the yacht’s seaworthiness. In default of any divergent written agreements, the yacht has to be returned in a proper condition, fully tanked and with the complete equipment to the original place of acceptance and in time. The charterer may ask the local staff for confirmation of the proper return of the yacht. He may also ask for putting down any discovered defects, missing or lost items in a written list. Shipping documents and permissions due to the use of the chartered yacht (e.g. transit log, chartering permission etc.) have to be left on board. Until the ship is not returned duly, it is considered to be still in the charterer’s use. The period of use agreed in the contract cannot be prolonged by the charterer without the consent of the other party. In case of a delayed return of the yacht, the terms of the contract will be valid throughout the whole period of delay. If the chartering party can be blamed for the delay, it will be them who bear the risk of force majeure. In addition to that, the charterer will be held liable by the other party for any consequential damage due to the delayed return. If the hiring party should leave the yacht in a different place to the one agreed in the contract, they will have to bear the costs of the yacht’s proper return. Only after the yacht reached its original harbour of departure, can the return of the yacht be considered as effected in the latter case. The chatterer has to have material defects caused by average wear and tear to the extent of € 200,–- maximum repaired, the arising cost of repairs being refunded by the other party on presentation of the invoice later. Material defects of an extent exceeding € 200,–- however, must not be repaired without the consent of the other party. If parts of the ship have to be replaced by replacement parts, the damaged ones have to be kept at all events. Otherwise the repairs will not be refunded to the chartering party. Concerning any other damage to the yacht or injuries of persons, the charterer is bound to put down the exact point of time, the exact place as well as any other details, circumstances and causes of the incident. Furthermore, he has to put down the names of any yachts, persons and witnesses etc. that have been involved in the incident. In addition to that, the incident has to be duly reported to the authorities. These notes have to be confirmed by the local authorities (e.g. by the harbour master, the doctor, the claims agent...etc.) Moreover a confirmation by the authority which the incident was reported to is absolutely essential. In either event however, the charterer is bound to immediately inform the other party about the incidents mentioned above. This does also apply to cases in which the yacht is obstructed by authorities or any other third party. In the event of unusual incidents – of whatever origin they might be the charterer especially endeavours to keep the damage as low as possible (damage limitation). Should it – in case of immediate distress at sea – be inevitable to ask a third party for help, the chartering party engages to negotiate reasonable conditions previously, regardless of the question of refund. If towage should be unavoidable and the other party cannot be informed, the yacht’s hawser will have to be used. The yachts my not be used for races. The yachts may not pass the Zdrelac bridge between Ugljan and Pasman, only in the case of a written approval of Master Yachting d.o.o. The chartering party will be liable for any breach of the contract as well as for any damage which they can be blamed for. The charterer can be held liable by the other party for any damages caused by the former’s actions and neglects. The other party, however, cannot be held liable by the charterer for any incident or damage caused by force majeure (especially by weather conditions or by a third’s party fault) during the chartering period, once the yacht has been accepted. This does also apply for cases in which such incidents make it impossible to continue the voyage. If the voyage cannot be continued for reasons such as the non-repair of reparable defects caused by wear and tear or other similar hidden defects, the proportionate chartering fees according to the period of non-use will be refunded to the chartering party. Further claims (such as journey and hotel charges, compensation for any injuries suffered, lost earnings etc.) will be excluded. Claims can only be allowed if all asserted defects or claims were taken down and signed both by the hiring party and the marina’s administration. Any later assertion of the claims and any later examination of the asserted damage and defects will be practically impossible – on the one hand because of the further use of the yacht, on the other hand because of the huge local distance. Any claims asserted by the hiring party have therefore to be asserted by one month after the end of the period of use at the latest. Any claims asserted later than at that point of time cannot be taken into account. The boats may not be used for any races. There is no covering from the insurance. If a boat is used for a race without our consent the Skipper alone is liable for the arisen damages. All the yachts are covered with the hull & machinery insurance, as well as the of third party liability insurance (P&I where applicable). The charterer engages to pay the price at the agreed point of time. If he does not promptly meet his financial obligations in spite of a reminder sent to his address by the agency, the other party is entitled to rescind the contract without previous threat or announcement. In the latter case, the rescinding party is additionally entitled to assert a lump sum amounting to one third of the agreed chartering fee as compensation for the delay in payment. If the contractual price should show obvious errors in calculation, both parties engage to adapt this price according to the valid price list. This correction has no effect on the validity or on the binding force of the contract. The parties agree upon the application of Croatian law. The validity of this contract will not be concerned by any possible invalidity of single provisions, clauses or terms in the contract. Any disputes arising hereunder will be settled before a competente court of law in Zadar.